We wonder if the products made from recombinant Metarhizium anisopliae are convenient and useful. 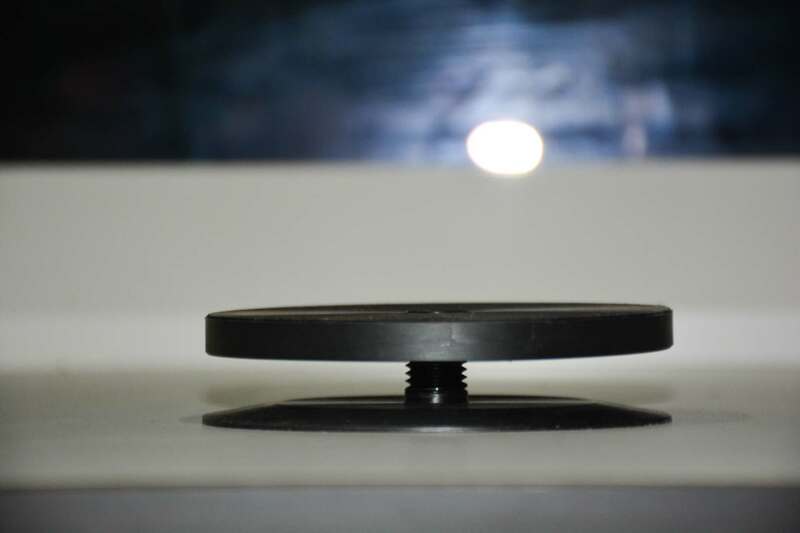 Previously, emulsifiable powder as the product dosage form and non-woven fabric as the carrier suggested by Dr. Wang Zhongkang, can be proved that our product has stronger storage stability, UV resistance and thermal stability. Besides compared with spore spray, non-woven fabric use less material and small-scale use. For now, we have taken a step forward to verify our product has the functions including the ability of producing a great amount of spores, high mortality, and necessity of using GreenGround. 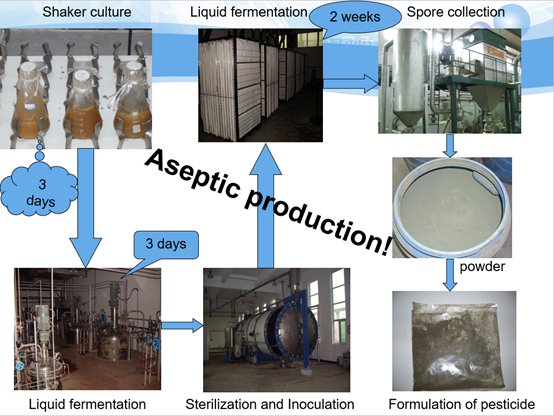 In order to ensure that we can produce emulsifiable powder in large quantities, Professor Wang took us to visit the Chinese largest fungal pesticide factory. The production process is shown in the figure. It can be used after the emulsifiable powder is produced and brushed on the non-woven fabric. In group infected by wild-type M.anisopliae, we used 10μl emulsifiable powder in a dose of 10^9 conidia/mL to infects 10 cockroaches individually. And in group infected by modified transformant, we used the same among of powder to infect 10 cockroaches individually. 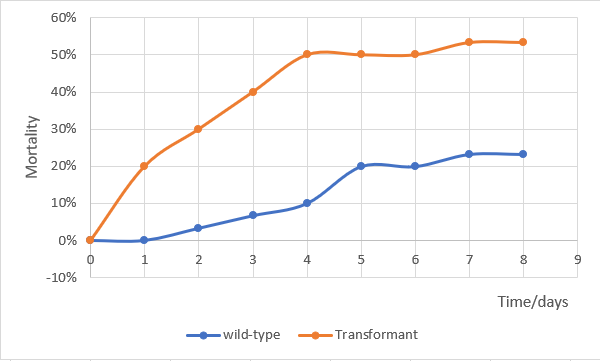 The results showed that wild-type M.anisopliae toke effect after two days, while transformant took effects less than one day. 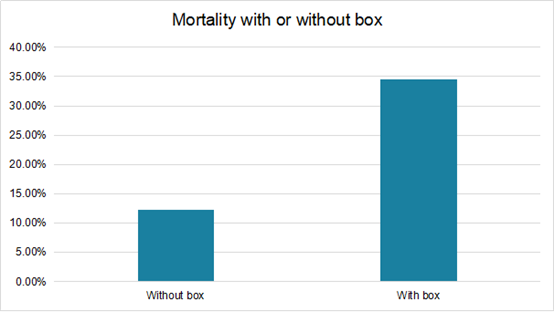 For mortality each day, transformant showed above two times significantly higher (P <0.05) mortality than wild-type. Two groups reached stationary state after four days, above 20% mortality in wild-type, while 50% in transformant. Table 1: Experimental data of cockroaches infection experiment. * Table shows the number of cockroaches alive. 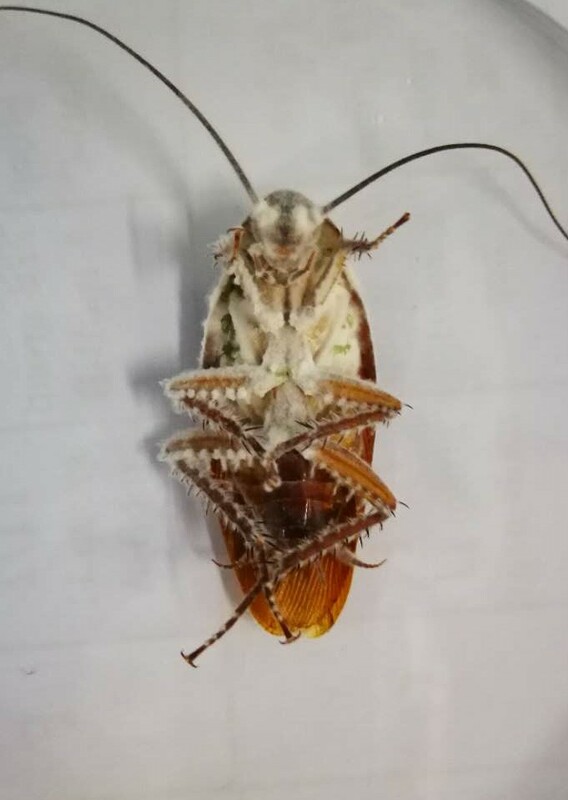 Fig 2: Mortality of cockroaches between wild type M.anisopliae and transformant. We found some problems that the non-woven fabric is so light that it maybe fly away, and the emulsifiable powder exposure to light may die easier. To solve this problem, we designed the GreenGround series, which has 3 generations of products (please click on Applied Design for details). We finally chose the third generation and patented it. In order to test the effect of the box on the killing effect, we did a comparative experiment and the results are as follows. This shows that our GreenGround can maintain the lethal effect of Metarhizium anisopliae, so it’s necessary to use. Because of the Do Not Release Policy, we couldn’t test our transformant in our GreenGround. But from the evidence above we can see that, it has the ability of producing a great amount of spores, high mortality, and necessity of using GreenGround. We believe that if we combine our spores and GreenGround together, the product would work well. Yin Youping, Wang Zhongkang, Xie Ning, et al. 2009. Insecticidal fungi emulsifiable powder:, CN101564047[P].